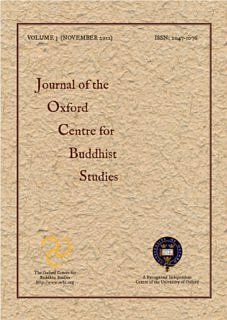 Published by the Oxford Centre for Buddhist Studies - A Recognised Independent Centre of the University of Oxford. 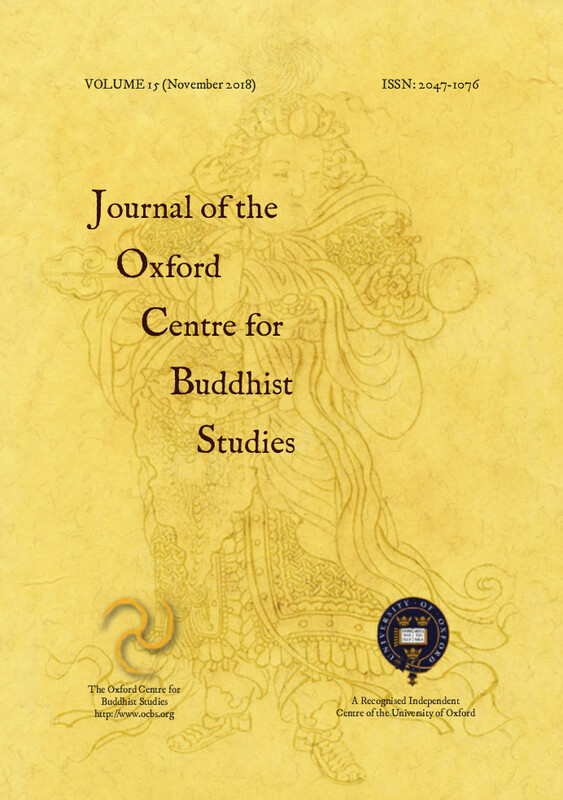 Welcome to the Journal of the Oxford Centre for Buddhist Studies. Subscription is by login details for individuals and IP Address Range for institutions. Payment can be by PayPal, Credit Card or Cheque. Full details on subscription and other Journal policies can be found under the About link above. In order to subscribe you will need to create an account using the Register link. Once you have registered your details you will then be able to choose your subscription type. The Table of Contents for the Current and Archive Volumes can be found by clicking on the relevant links above. If you are considering submitting a piece for the Journal then please click here for details on policy and submission. We are very pleased to welcome Dr. Alex Wynne as Joint Editor of the JOCBS, along with Prof. Richard Gombrich.